Appearance: Glass-like, often with imperfections and fractures. Hardness: 7. 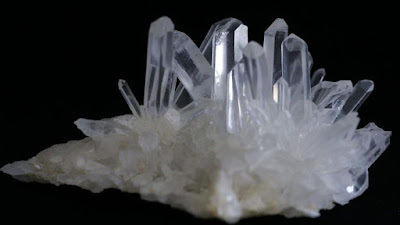 Quartz is one of the more durable semiprecious stones. It can scratch glass and can be scratched by steel. Other Notable Qualities: Quartz comes in a variety of colors, typically denoted by varying names. Today, we're focusing on the clear variety. Quartz forms at all temperatures and in all conditions. Present in sedimentary, metamorphic and igneous rock, it can be found all over the world. Because it has a hardness of seven on the Mohs Scale, Quartz weathers a variety of situations from the harsh winds the mountaintops to the high heat of the desert sand to the waves of the ocean on the beach. 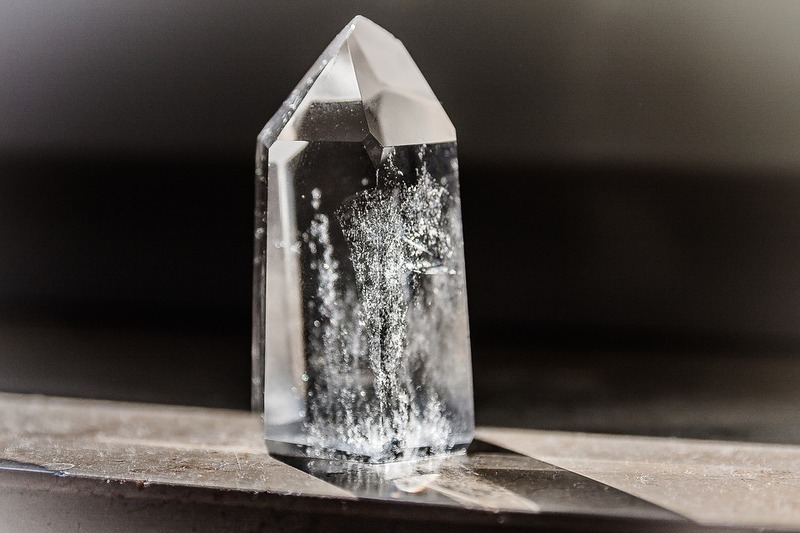 Sir Isaac Newton used a natural quartz crystal to study the colors of the rainbow, displaying in detail the way it refracted all colors of clear light. 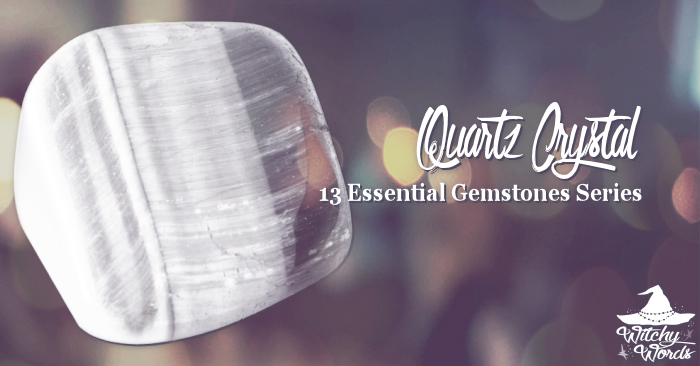 Scientifically speaking, quartz is quite literally all-encompassing and all-purpose. 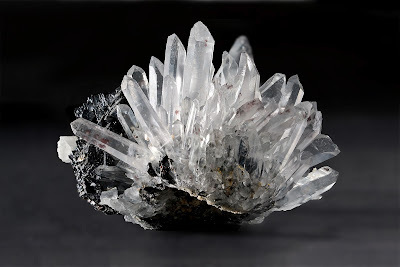 Because of its hardness, quartz is often ground and used for sand blasting and scouring cleansers. It's resilient in the face of high heat, being used as the base for molds. Even more so, quartz is regularly added to other materials, improving their durability. This same strength quartz exhibits allows it to vibrate at very precise frequencies utilizing pressure or heat. In 1880, French scientists Jacques and Pierre Curie created what is now known as crystal oscillators - small devices that we find in a multitude of electronics everywhere. Crystal oscillators allow watches to keep accurate time and radios and TVs to transmit stable signals. They're also found in GPS devices, computers, cell phones and more. These electronics allow us to complete a variety of tasks more efficiently and precisely. 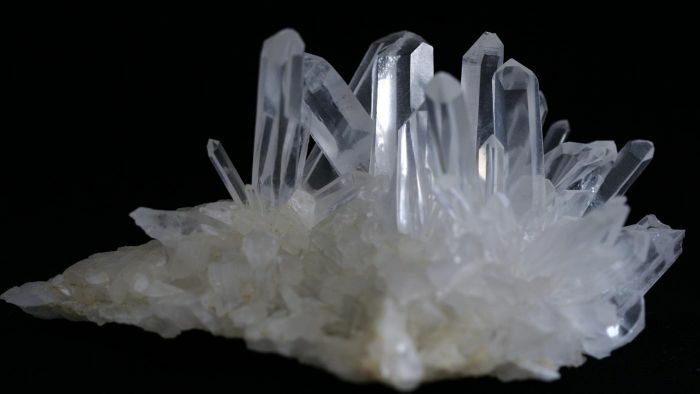 You could say that quartz empowers and amplifies the energy of the user and the strength of the material around it. 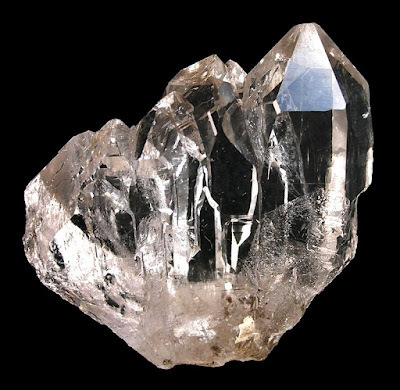 To ancient Romans, crystal quartz was permanent frozen ice. In fact, the crystal of crystal quartz is derived by the Greek word krystallos, which also meant "ice." Natural historian and philosopher Pliny the Elder believed that this mineral was actually water that had been frozen for so long it could not melt. Because of this, Romans would create cooling spheres and rings out of quartz to lower body temperature during the hot summer months from overheating. As we know from our various lessons in Hermeticism as well as science itself, coldness is just the slower vibration of particles, representing a stability of that energy. Thus, my interpretation of this historical folklore is that quartz can be a stabilizer of energy. In the US, we have multiple quartz quarries and mining areas. One such location is Garland County, Arkansas. 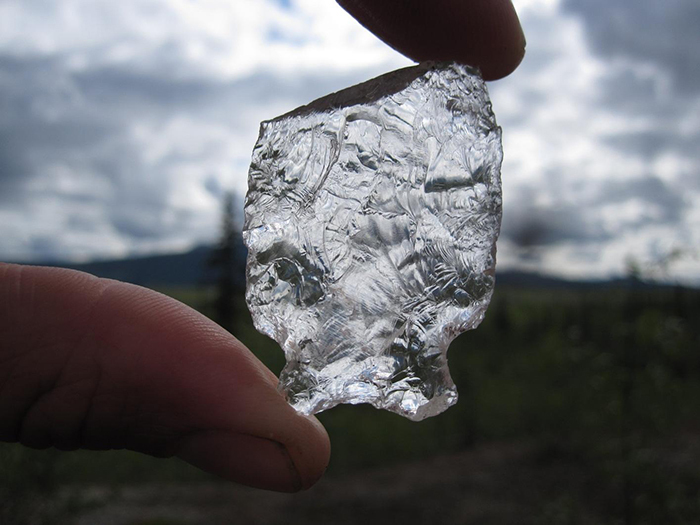 From the Mount Blakely Dam site, an 11,000 year old quartz arrowhead was discovered. In fact, quartz arrowheads are abundant in the US. Believed to be from the Plum Bayou people, this tribe made scrapers and knives out of clear quart as well. Because of its prevalence of discovery as tools and weapons, local residents have come to associate quartz with protection and defense. 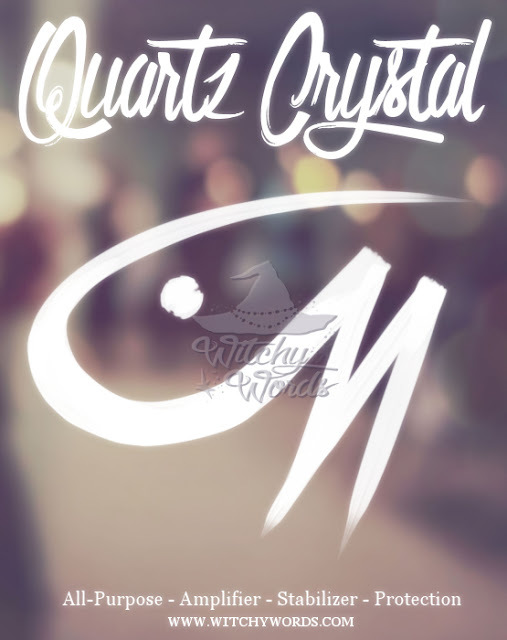 Utilize this sigil as a way of invoking the properties of quartz crystal if you have none available to you. You are welcome to print this sigil, place it in a grimoire, use it on a spell or put it in your blog with proper credit. Do not claim this sigil as your own.